Welcome to my latest newsletter and hello to all the latest signups! I hope that the main article gives you some ideas for new props to try out, and that you all enjoy a great EASTER time! Next newsletter will most likely be after the busy summer season! 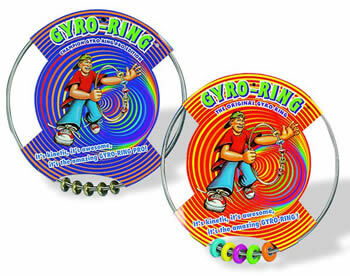 Have you Tried these Circus Skills Props? I have used these props listed below in my Circus Skills workshops over the years (and performed with some of them also), but some of these props aren’t widely known about, so please have a read below, and find out more! Beach Flingo This is basically a bib that you put round your neck. There are 2 yellow fingerholes to enable you to pull the fabric tight, and this tightness creates a trampoline like effect for a ball to bounce off! Each set of flingo comes with 2 bibs and one ball. I use this in workshops when all the participants have a bib and we have one massive game of keepy uppys! Beach Flingo Tricks Page. Chista This game was invented by Jean-Charles Hery and won the gold medal in France’s Concours Lepine inventors competition. 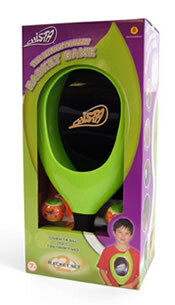 The Chista racket lets you cushion and stop the chista ball (a mini tennis ball) and then send it flying through the air once again by lobbing/throwing it out of the top of the racket. You could throw the ball against a wall or to another player. Lots of possibilities! It takes only a few minutes to master this game, and all you need is a bit of space to play! 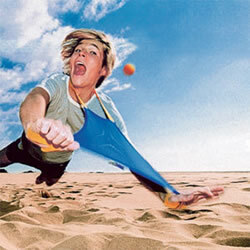 If you are used to handling a racket of any type, they you will be at an even greater advantage, and if you have enough rackets and a net, then you could even play a volleyball type version of Chista! Chista Tricks Page. Flashcups (also known as Speed Stacking Cups) This sport has been in existence for over 20 years and has now became the fastest growing sport in America! It is now also played in thousands of schools across the UK. This product is so simple that a young child can do it, yet so contagious that people of all ages are hooked! You can play on an individual or team basis. The aim is to stack and unstack 12 specially designed plastic cups (race cups) in predetermined sequences. Can you break the world record which currently stands at 2.47 seconds for stacking and unstacking 12 cups?! The set includes 12 plastic cups, race mat, electronic timer, carry bag and full instructions. I use this product in my Circus Skills Workshops and it is every bit as addictive as diabolo, devilstick and all the other props, so go on, give it a try! 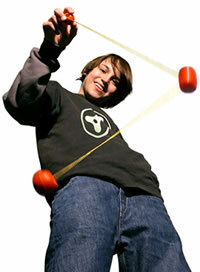 All of the above props (and many others) are available to purchase in my online Juggling Store (UK only). I would suggest of course that if you were to add these items to your workshops, that you are able to do at least a few tricks with the item so that you can demonstrate to your participants. 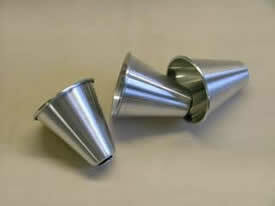 Beach Flingo and Speed Cups are two of the most favourite props I use in all my workshops! I am trying to gather a list of songs which contain lyrics which could describe juggling moves! For example, Kylie’s song called “Spinning Around” has some lyrics which would fit well with poi spinning, and A Tribe Called Quest’s song called “Can I Kick It?” fits in well with some body bounce tricks while ball juggling. The lyric doesn’t have to be in the song title, as long as the words match whatever juggling move you can think of! If you can work out any other songs, then please get in touch as I would appreciate any further help! I look forward to seeing many of you at various festivals and Gala Days over the Easter and Summer periods. I am enjoying an increased amount of schools work this year so far. 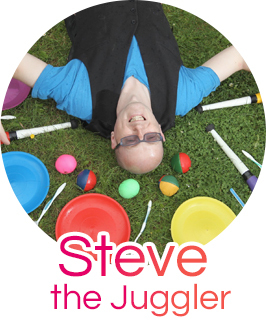 Thanks to those who have hired me, and for those who may be interested, you can check out my Juggler for Hire Section. then please forward it to other people or send them to my mailing list page and encourage them to sign up! Many thanks! Have a Happy Easter and Summer break!